While most people were scrolling for Cyber Monday deals, U.S. Women’s National Team goalie Ashlyn Harris and coach Jill Ellis boarded the first of three flights taking them from Orlando, Florida, to Monrovia, Liberia. 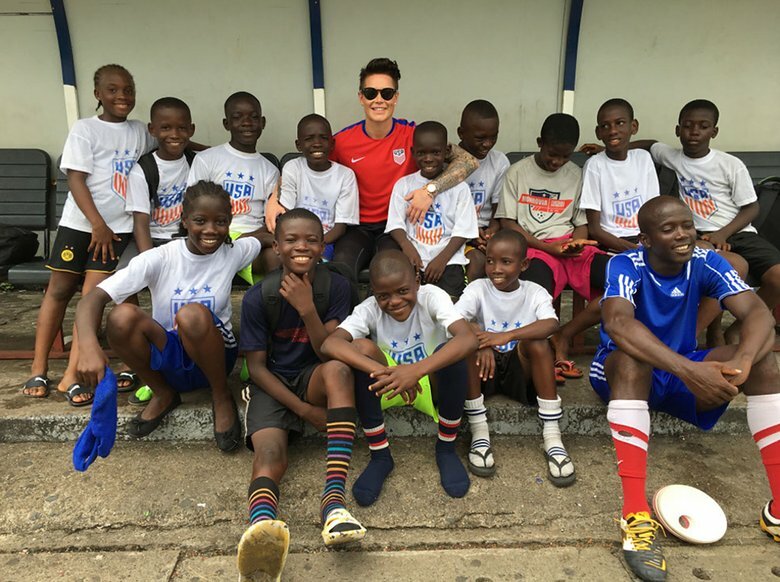 It was only appropriate that they arrived in the capital of the coastal West African country on Giving Tuesday: the two came as sports envoys of the U.S. embassy to visit the Monrovia Football Academy, the first of its kind in Liberia to combine formal education with soccer training. In a culture where soccer, or football, is commonly referred to as manball, it was with great enthusiasm that the women’s soccer stars visited to support firsthand the work the academy is doing to break traditional gender barriers.